In IntelliJ IDEA HQL console can be used with pure JPA facets (as well as with Hibernate facets) to run JPAQL and HQL queries. 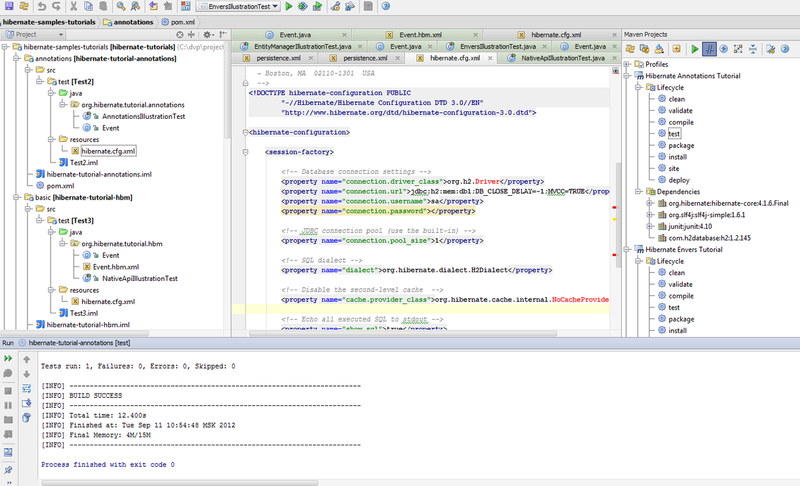 All you need is Hibernate libraries and JDBC driver in a module classpath. If persistence.xml contains no Hibernate-specific database connection options, it should be mapped to an existing data source via JPA facet settings. Tip: HQL console can also be used to generate DDL statements for JPA and Hibernate mappings via its Generate DDL command. Update: If a Persistence Unit or Session Factory is mapped to a valid local Data Source there is no need to specify JDBC driver jars in a module classpath (Since 8.1.1). This entry was posted in Tips & Tricks and tagged Code Generation, Database, Hibernate, JPA. Bookmark the permalink. What if the entitymanagerfactory (JPA) is Spring configured? How to make the HQL console work? persistence.xml only contains an empty PU def with RESOURCE_LOCAL. 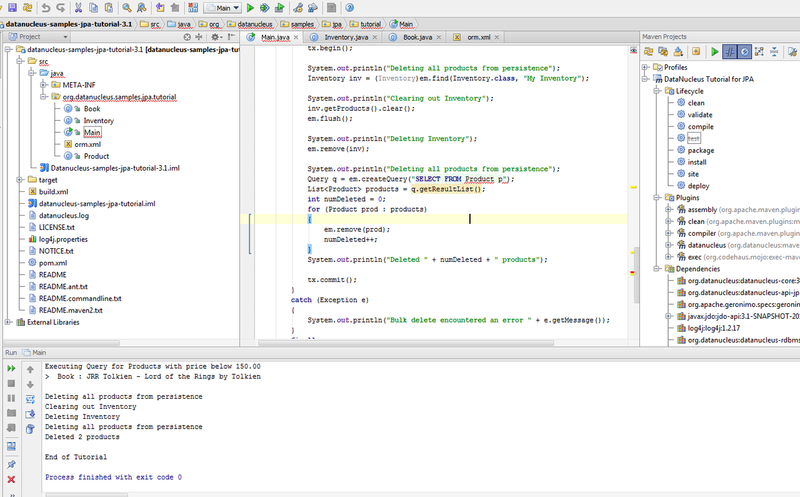 Currently only Hibernate LocalSessionFactoryBean/AnnotationSessionFactoryBean are supported by SpringHibernateIntegration plugin. Actually you are the first person to ask this question. As a workaround configure the empty PU to contain all the required mappings, map it to a DataSource with valid JDBC parameters (driver/url/password) and use it to run console as if spring configuration doesn’t exist. hi, Gregory. all the features look really promising, but there are questions. you probably know, how to fix it.